A blog is one of the most powerful ways to reach out to your customers online, and it can also help you to create a two-way dialogue which enables you to learn more about them and their needs. But in order for it to do that, your blog must capture their attention and their imagination, so pick your topics wisely. To help you out, here are five types of blog posts which can keep your existing followers hooked, and reel in even more. Often when people go online, they’re looking for an informed solution to a practical problem. By providing them with the answers they seek, you can begin to build trust, and hopefully a long-lasting relationship. Put yourself into your customers’ shoes, and imagine the kinds of problems they face which are related to your products or your industry in general. Create well-written and accurately researched blog posts which address these, without considering whether they lead to a sale. Chances are, if you help them solve their problem, they’ll be back. Another key reason why people go online is to validate their current situation by hearing about other people who have successfully faced something similar previously. If your business has been around for some time you should have some case studies which you can draw on, but if not you should be able to source something from elsewhere on the internet which is relevant to your industry. Primers (i.e. concise guides which serve as an introduction to a subject), serve two purposes. Firstly, they can build goodwill towards your company by providing a helpful service to those new to the topic or field under discussion. Secondly, they help you to build your brand up as an authority to be trusted. Once you’ve earned that trust, people are likely to return to you again for information, and if they’re prepared to turn to you for information and advice, they’ll be much more susceptible to your marketing efforts. Sometimes people like to know a little more about the company they’re dealing with and the processes that go on within it. This type of blog post is intended to satisfy that curiosity and generate further interest, but it can also help you to build up a fully rounded image of your organisation as a three-dimensional firm staffed by humans, rather than a faceless enterprise. People also like to hear things straight from the horse’s mouth, and interviews can provide further insights. You might conduct interviews with key staff, whether management level or further down the food chain, or you could approach prominent outside figures within your industry to answers some pertinent questions. Of course, before you can create compelling posts of any kind you need to master the basics of blogging, and you can find useful information on this on our ‘How to write a blog’ page (https://www.bigstarcopywriting.com/how-to-write-a-blog/). 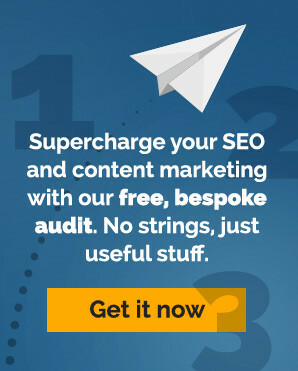 Alternatively, check out our blog copywriting (https://www.bigstarcopywriting.com/copywriting-services/blog-copywriting/) page to find out what a professional blog copywriter can do for you.